Are you waiting to be discovered? Here’s your chance! 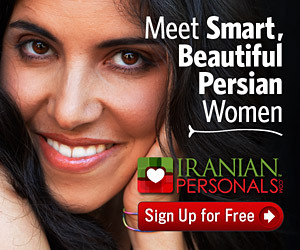 We are having an iranian.com event on April 25 at the Palace of Fine Arts in San Francisco. The show will open with the introduction of fresh new talent. If you love to perform, if you have an artistic gift, we would love to give you this platform to shine. Make a short video of yourself performing and email to jj@iranian.com. Or upload it on YouTube and send me the link. We are looking for comedians, singers/musicians, or even magicians! If you have any other special talent, show us! Do you know someone who has a special talent? Let them know about this offer and give them the opportunity to perform in front of a great audience at a grand event. I will tell you more about the event soon. Mark your calendar!